The Value Added Tax, or VAT, in the European Union is a general, broadly based consumption tax assessed on the value added to goods and services. It applies more or less to all goods and services that are bought and sold for use or consumption in the Community.Thus, goods which are sold for export or services which are sold to customers abroad are normally not subject to VAT. Conversely, imports are taxed to keep the system fair for EU producers so that they can compete on equal terms on the European market with suppliers situated outside the Union. a general tax that applies, in principle, to all commercial activities involving the production and distribution of goods and the provision of services. a consumption tax because it is borne ultimately by the final consumer. It is not a charge on businesses. collected fractionally, via a system of partial payments whereby taxable persons (i.e., VAT-registered businesses) deduct from the VAT they have collected, the amount of tax they have paid to other taxable persons on purchases for their business activities. This mechanism ensures that the tax isneutral regardless of how many transactions are involved. paid to the revenue authorities by the seller of the goods, who is the “taxable person”, but it is actually paid by the buyer to the seller as part of the price. It is thus an indirect tax. The essential piece of EU VAT legislation since 1 January 2007 has been Directive 2006/112/EC. That ‘VAT Directive’ is effectively a recast of the Sixth VAT Directive of 1977 as amended over the years. The recast brings together various provisions in a single piece of legislation. It provides a clearer overview of EU VAT legislation currently in force. As it is usual practice, the Directive contains a correlation table providing the bridge between the provisions of the Sixth VAT Directive and those of the new Directive. This table features at the end of the Directive. An eLearning course has been developed by the European Commission to help tax officials and others get a good basic knowledge of the VAT Directive. The course is freely available for download from the web page. What Is A Taxable Person And How Is It Charged? For VAT purposes, a taxable person is any individual, partnership, company or whatever which supplies taxable goods and services in the course of business. However, if the annual turnover of this person is less than a certain limit (the threshold), which differs according to the Member State, the person does not have to charge VAT on their sales. The VAT due on any sale is a percentage of the sale price but from this the taxable person is entitled to deduct all the tax already paid at the preceding stage. Therefore, double taxation is avoided and tax is paid only on the value added at each stage of production and distribution. In this way, as the final price of the product is equal to the sum of the values added at each preceding stage, the final VAT paid is made up of the sum of the VAT paid at each stage. Registered VAT traders are given a number and have to show the VAT charged to customers on invoices. In this way, the customer, if he is a registered trader, knows how much he can deduct in turn and the consumer knows how much tax he has paid on the final product. In this way the correct VAT is paid in stages and to a degree the system is self-policing. A mine sells iron ore to a smelter. The sale is worth €1 000 and, if the VAT rate is 20%, the mine charges its customers €1 200. It should pay €200 to the treasury, but as it has bought €240 worth of tools in the same accounting period, including €40 VAT, it is only required to pay €160 (€200 less €40) to the treasury. The treasury also receives the €40 and now gets €160 making €200 – which is the correct amount of VAT due on the sale of the iron ore. The smelter has paid €200 VAT to the mine and, say, another €20 VAT on other purchases, such as furniture, stationery, etc. So when the smelter sells €2 000 worth of steel it charges €2 400 including €400 VAT. The smelter deducts the €220 already paid on his inputs and pays €180 to the treasury. The treasury receives this €180 from the smelter plus €160 from the mine, plus €40 paid by the supplier of tools to the mine, plus €20 paid by the furniture/stationary supplier to the smelter. €180 (paid by the smelter) + €160 (paid by the mine) + €40 (paid by the supplier to the mine) + €20 (paid by the supplier to the smelter) = €400 or the correct amount of VAT on a sale worth €2 000. How do the Member States apply VAT? The detailed application of VAT varies according to the administrative customs and practices of each Member State within the framework set out by Community legislation.2 000. Why do all Member States use VAT? At the time when the European Community was created, the original six Member States were using different forms of indirect taxation, most of which were cascadetaxes. These were multi-stage taxes which were each levied on the actual value of output at each stage of the productive process, making it impossible to determine the real amount of tax actually included in the final price of a particular product. As a consequence, there was always a risk that Member States would deliberately or accidentally subsidise their exports by overestimating the taxes refundable on exportation. It was evident that if there was ever going to be an efficient, single market in Europe, a neutral and transparent turnover tax system was required which ensured tax neutrality and allowed the exact amount of tax to be rebated at the point of export. As explained in VAT on imports and exports, VAT allows for the certainty that exports there are completely and transparently tax-free. The most reliable source of information on current VAT rates for a specified product in a particular Member State is that country’s VAT authority. Nevertheless, it is possible to get an overview of the different rates applied, from the VAT rates in the European Union information document. For the purpose of exports between the Community and non-member countries, no VAT is charged on the transaction and the VAT already paid on the inputs of the good for export is deducted – this is an exemption with the right to deduct the input VAT, sometimes called ‘zero-rating’. There is thus no residual VAT contained in the export price. However, as far as imports are concerned, VAT must be paid at the moment the goods are imported so they are immediately placed on the same footing as equivalent goods produced in the Community. 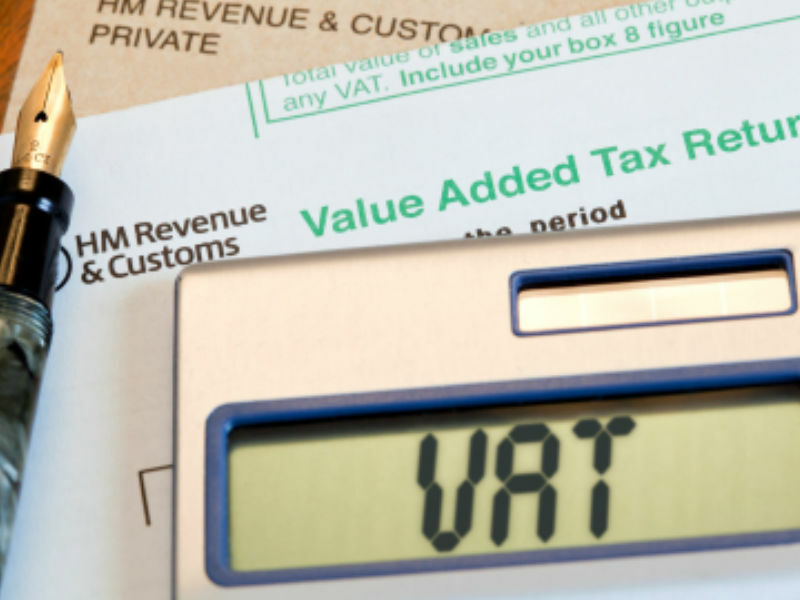 Taxable people registered for VAT will be allowed to deduct this VAT in their next VAT return. Taxable people not registered for VAT will be allowed to recover this VAT with another process through the Directive 86/560/CEE (13th Directive). A study provides detailed information (980 Kb) (in English only) on the import VAT payment rules in different Member States. No frontier controls exist between Member States and therefore VAT on goods traded between EU Member States is not collected at the internal frontier between tax jurisdictions. Goods supplied between taxable persons (or VAT registered traders) are exempted with a right to deduct the input VAT (zero-rated) on despatch if they are sent to another Member State to a person who can give his VAT number in another Member State. This is known as an “intra-Community supply”. The VAT number can be checked using the VAT Information Exchange System (VIES). The VAT due on the transaction is payable on acquisition of the goods by the taxable customer in the Member State where the goods arrive. This is known as “intra-Community acquisition”. The customer accounts for any VAT due in his normal VAT return at the rate in force in the country of destination. From 1 January 2010, the new rules on the place of supply of services will mean that business-to-business supplies of services will be taxed where the customer is situated, rather than where the supplier is located. For business-to-consumer supplies of services, the place of taxation will continue to be where the supplier is established. On 11 April 1967, the first two VAT Directives were adopted, establishing a general, multi-stage but non-cumulative turnover tax to replace all other turnover taxes in the Member States. However, the first two VAT Directives laid down only the general structures of the system and left it to the Member States to determine the coverage of VAT and the rate structure. It was not until 17 May 1977 that the Sixth VAT Directive was adopted which established a uniform VAT coverage. On 1 January 2007, the Sixth Directive was replaced by the VAT Directive (Directive nº 2006/112/EC). It brings together the various provisions into one piece of legislation, and so gives a clearer overview of EU VAT legislation currently in force. The VAT Directive guarantees that the VAT contributed by each of the Member States to the Community’s own resources can be calculated. It still, however, allows Member States many possible exceptions and derogations from the standard VAT coverage. Moreover, it does not set out the rates of VAT to be applied in Member States, only a minimum rate of 15% fixed until 31 December 2010. This means that VAT rates differ widely. Currently, Member States apply a standard rate of between 15% and 25%. They may also apply 1 or 2 reduced rates of at least 5%. There are a number of temporary derogations, e.g. zero rates in the United Kingdom and Ireland. The VAT coverage also still differs from one Member State to another. The realisation of the single market in 1993 resulted in the abolition of controls at fiscal frontiers. To achieve this, the Commission proposed moving from the pre-1993 “destination based” system, where VAT is effectively charged at the rate of VAT applicable where the buyer is established, to an “origin based” system, with VAT being charged at the rate in force where the supplier is established. This would have effectively abolished fiscal frontiers within the EU. This was, however, not acceptable to Member States as rates of VAT were too different and there was no adequate mechanism to redistribute VAT receipts to mirror actual consumption. Therefore, until the conditions were right the Community adopted the Transitional VAT System which maintains different fiscal systems but without frontier controls. The intention is still eventually to have a common system of VAT where VAT is charged by the seller of goods – an origin based VAT system. The transitional system is an origin based system for sales to private persons who can go and buy (tax paid) anywhere they like in the Union and take the goods home without having to pay VAT again. There are some exceptions to this general rule however (e.g. the purchase of new means of transport and distance selling). For transactions between taxable persons it is still a destination based VAT system.